This weeks show featured guest DJ Julia Pe from Spain..
Datassette - Can you Smell Maths? ^ Nice selection as always. This weeks show featured a 45 minute guest mix from erreur as well as 15 minutes of me mixing. Enjoy! 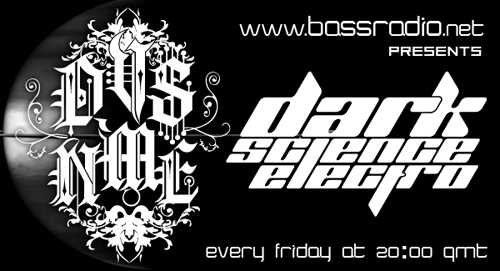 Join us every Friday at 20:00 GMT for the best in dark electro from around the world. Tune in every Friday night at 20:00 GMT for an hour of the best dark electro from around the world.